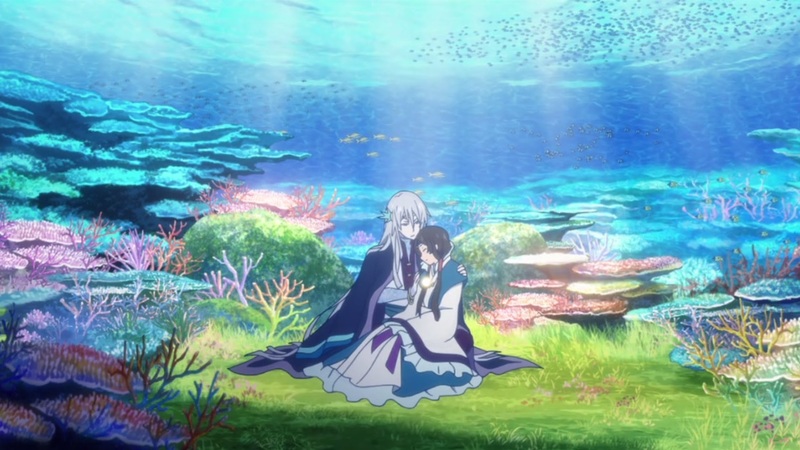 Since the rest of the continuing fall series ended the previous week, I decided to give Nagi no Asukara’s finale it’s own post. I’ve written down some of the thoughts that came to mind after I finished the series as well as some thoughts on the series as a whole. If you’ve missed my previous post on the other fall series, you can check that out here. This episode starts off with the tale of the Sea God and his love for Ojoshi-sama. Prior to hearing this story, I always thought that the Sea God seemed rather spiteful. The Sea God supposedly took away the ability to love from the Ojoshi-sama as a consequence of allowing her to return to the surface. 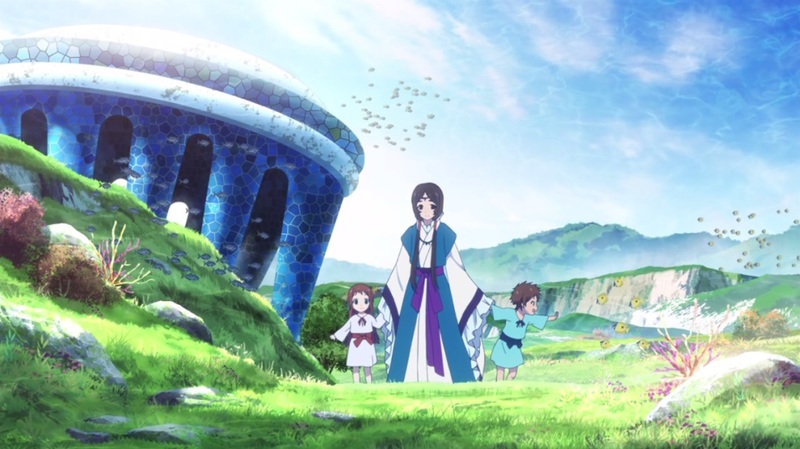 However, from Manaka’s narrative of the story, tells a much different story from a different perspective. The Sea God seems to care deeply for all of his people. Despite caring so much for them, many of them fled to the surface to be with the ones they loved. He’s given Ojoshi-sama as a sacrifice but ends up falling in love with her. He ends up feeling guilty for taking her away from the one she had loved previously even though she never had any ill will towards the Sea God for what happened. He truly loved the Ojoshi-sama but he felt that she’d have been happier back on the surface and sends her back. In the end, Ojoshi-sama didn’t want for any of that to happen. She treasured her feelings of her previous love as well as her memories with the Sea God. Those feelings and experiences are all a part of life and by taking them away, the Ojoshi-sama is just left with a feeling of emptiness. While the Ojoshi-sama may have loved the man on the surface at some point in her life, people and feelings change as time progresses. She found happiness in being with the Sea God and raising her children along with him. While it may have been painful to be separated from her first love, it doesn’t necessarily mean that she regrets all of the memories and experiences she’s had. With a good portion of the episode being dedicated to the Ojoshi-sama’s story, I couldn’t help but draw some connections between the story and some of the characters. 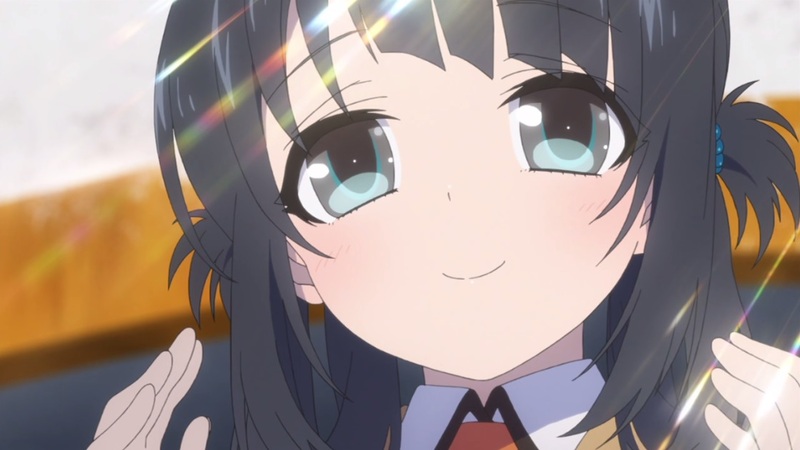 Both Miuna and Chisaki had painful experiences regarding their first love. A part of Chisaki will probably always love Hikari, but she’s also fallen in love with Tsumugu. Her experience with Hikari kind of taught her what it was like to be in love. Even if it was one sided, she was able to experience all the emotions whether they were pleasant or painful, and learn from them. While she still holds onto the past, it doesn’t mean that she can’t enjoy the present and look forward to the future. Miuna hasn’t quite moved on yet but she’s still appreciative of her feelings for Hikari. She can’t help the fact that she fell in love with Hikari, and there’s nothing wrong with it. Even if she knows her feelings won’t be reciprocated, she’s still able to feel at ease because she’s able to love someone. The series as a whole ended on a positive note for me. At the beginning, there was a lot of tension between the people of the surface and the sea. Through the whole ordeal of the vengeful Sea God, the two sides were able to grow to understand each other more. They all share the same feelings and emotions and there is no longer any reason for conflict between them. They’ve learned from their mistakes in the past and the future now looks bright for everyone. While it’s the end of the series, the finale signifies a new start for everyone. The future is bright as everyone continues to move forward and progress in life. The characters have shown incredible growth over the course of the series. 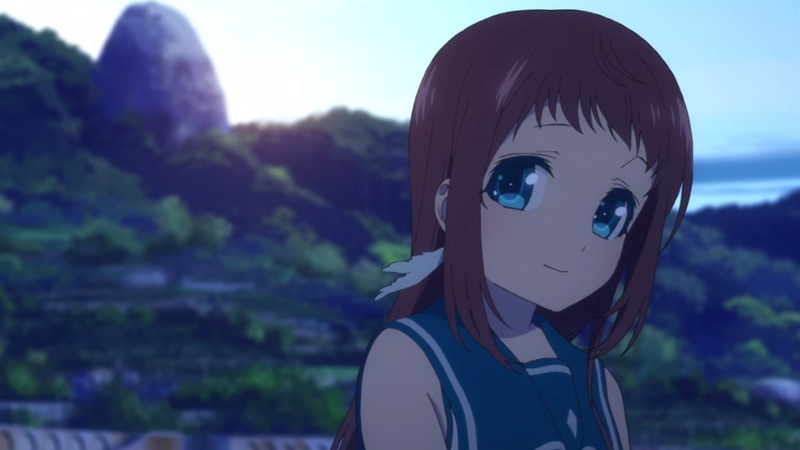 Hikari grew to be more compassionate towards others. Instead of always being concerned with his own feelings, he considers how those around him feel. Even though his hot headed personality hasn’t changed, he’s definitely matured. 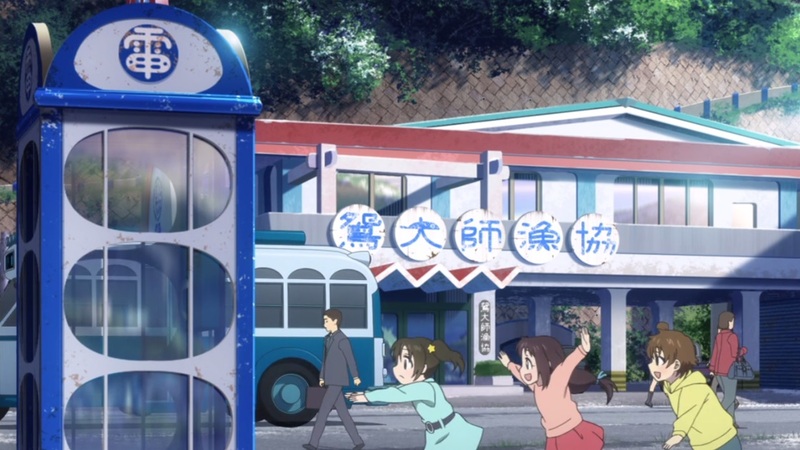 Chisaki learns that change isn’t so scary after all and that she should pursue what makes her happy in the end. Miuna understands that falling in love doesn’t mean that your feelings always have to be reciprocated. Just being able to experience what it’s like to fall in love has enabled her to grow as a person. The suffering and the joy she felt with Hikari has allowed her to understand herself much better. 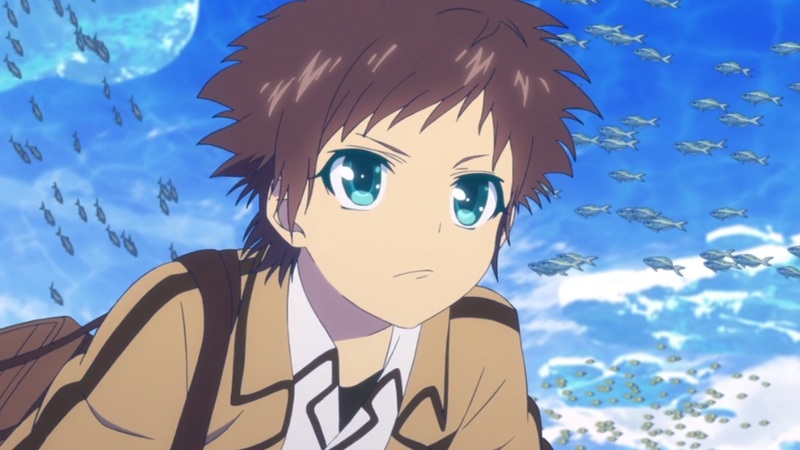 When I first started watching Nagi no Asukara, I initially wrote it off as another teenage melodrama series. However, it’s managed to change my view completely by handling many themes/messages (embracing change, the concept of love) and showing strong character development. The art was stunning and overall well directed. Even without words, some scenes from the show were able to convey the emotions through the art alone.The music was top notch as well and helped elevate the show to even greater heights. 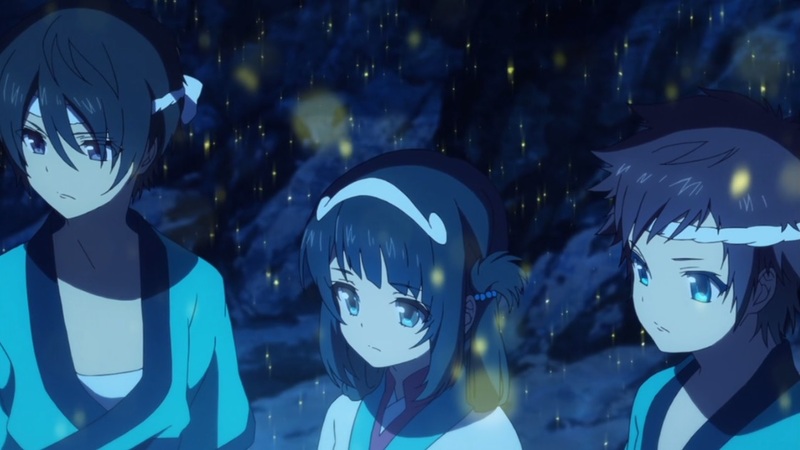 Even if some parts were a bit melodramatic for my tastes, I found Nagi no Asukara to be very enjoyable and it reminded me to always look forward in life. While the past is important since it shapes who you are as a person, that doesn’t mean that you can’t have change in your life. I'm a marketing student who got back into anime in 2012. I decided to start blogging as a way to improve my writing as well as my ability to express myself. I generally write whatever comes to mind as I'm watching anime!